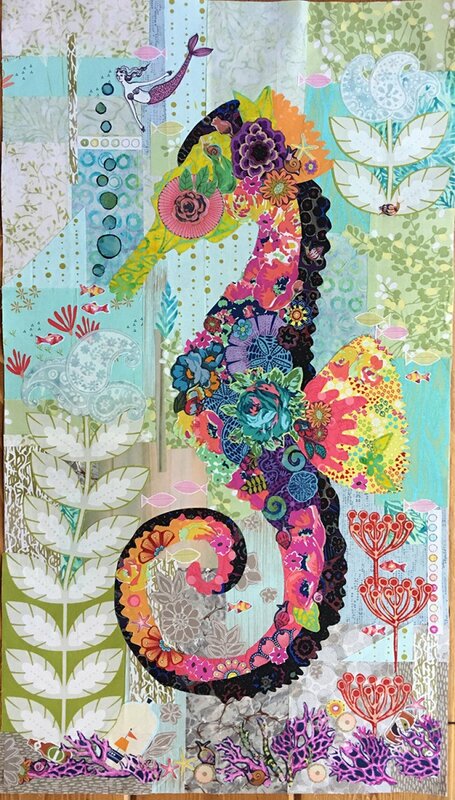 We are super excited to offer this fun, and seriously creative collage quilting class. Join Roxanne Brown in the classroom for this two-part series. Class participants will choose the Laura Heine pattern they want to use. In the first class we will be preparing our basic underlying appliques, and begin choosing and preparing our fabrics for the collage application. We've got special materials to use for this process. START COLLECTING FLORALS & CHOOSE YOUR PATTERN! We'll use quite a selection of flowers.... some with backgrounds, nice big ones, little bitty ones ... anything goes ... as long you love it! Margaret will be creating the Pin Cushion pictured above during the class. In part two we'll be finalizing the placements of our appliques and fusing them in place. We are able to get any of the patterns for you. Please note the pattern calls for Pattern Ease & Fabric Fusion. Both of these products, plus ample amounts of Steam-A-Seam II are available for purchase prior or during class.